Available in three flavors, date and rose mousse deliciously blended with vanilla sponge cake, Macadamia Caramel and pistachio mousse infused with vanilla sponge cake and the third being mango mixed with chocolate melded in vanilla and chocolate sponge cake. Beautifully packaged to keep reminding our customers that Opéra is with you at heart even after our desserts are polished off. 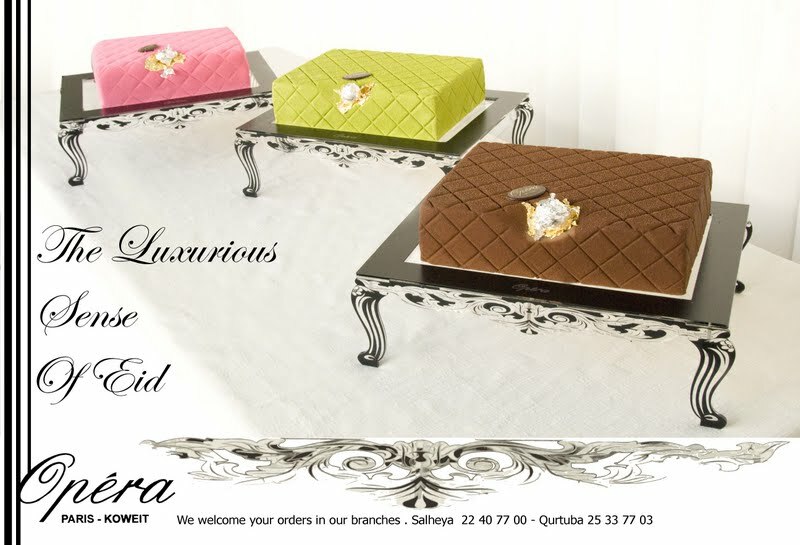 It's Opera's way of saying Have a happy and Blessed Eid. Seems like a splendid sugar OD for Eid !